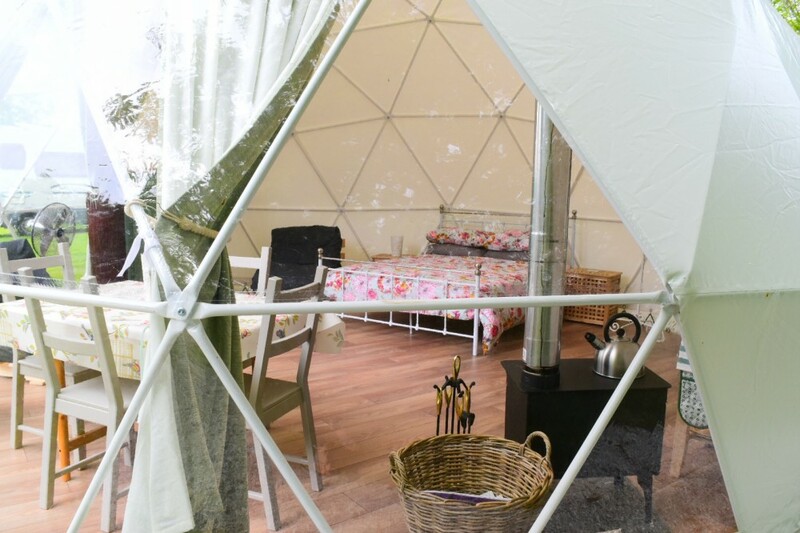 For a true outdoor glamping experience, we are delighted to offer our guests a unique opportunity of staying in either a Geodome or new for 2018 our Nare Yurt. 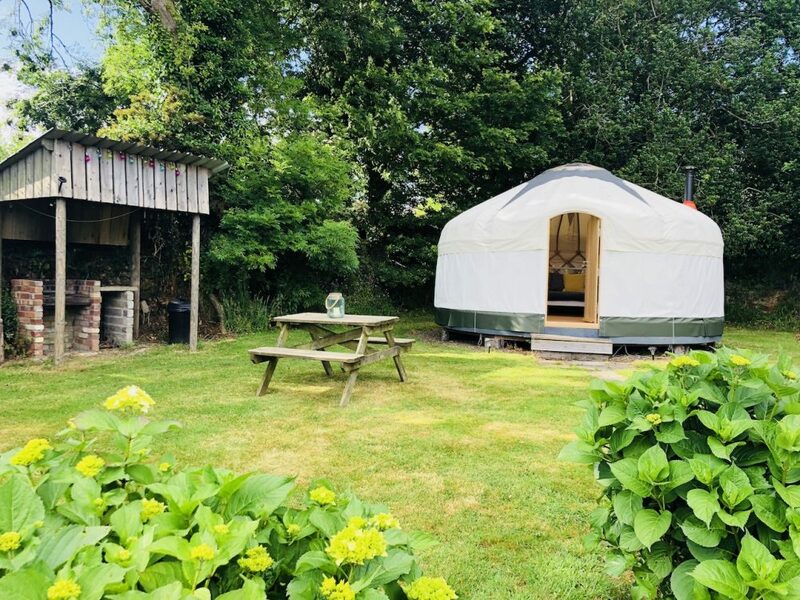 Nestled away in our peaceful Summer Meadow to the North of East Crinnis the Geodomes and Yurt are perfectly positioned to enjoy the afternoon and evening sun. 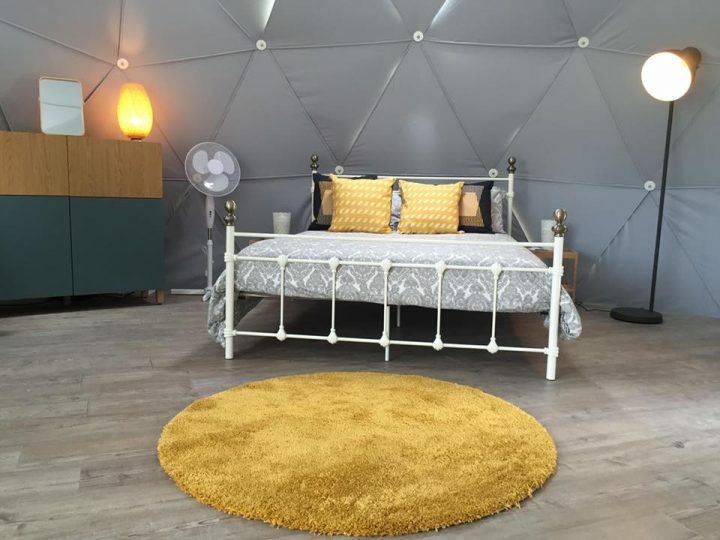 Choose from either the Trenarren Geodome which sleeps up to 4 people, the Harlyn Geodome sleeping up to 6 or Nare Yurt sleeping up to 4 people. 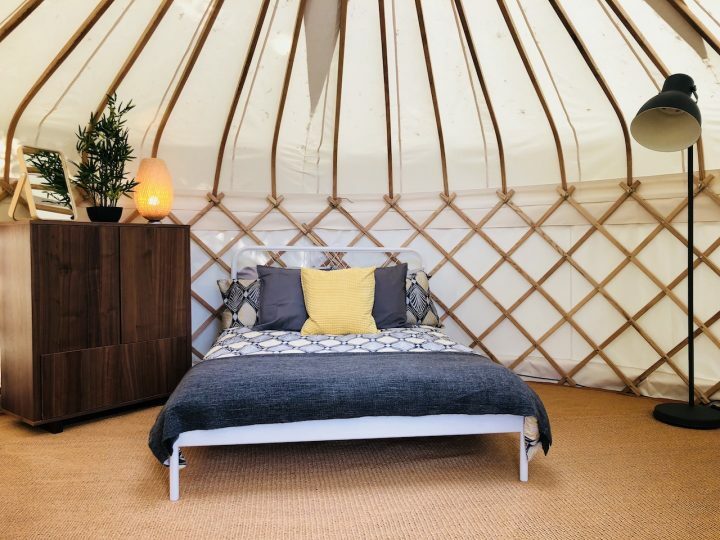 All of our glamping accommodation benefits from a comfy double or king size bed allowing you to experience a bit of luxury while still keeping the camping outdoorsy feel. 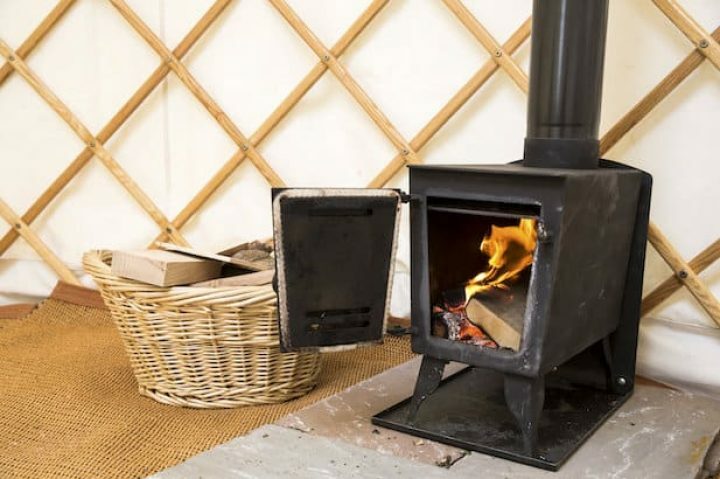 In the Summer Meadow you will find a restored stable block faced with Cornish granite serving as the main shower block. Here you have ladies and gents toilets/showers with washing sinks, along with a kitchen for washing up and also containing a Microwave, Freezer and Kettle. 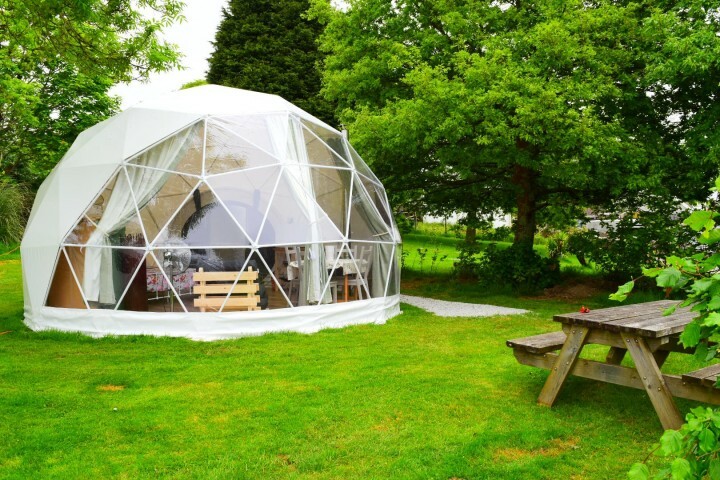 The large clear front panels of the Geodomes have a diameter of over 6 meters giving wonderful views day and night or you can close the curtain for complete privacy. On the colder nights you can fire up the log burner and even cook off the hot plate or boil the kettle for the complete outdoor experience in both the Geodomes and Yurt. When booking directly with East Crinnis Holiday Park our self-catering customers receive a complimentary Cornish cream tea on arrival. We would like to remind our guests that the site is a quiet, family site with a no noise policy operating between 11pm – 7:30am as we want everyone to have a peaceful night sleep and be ready for the next days adventure. Prices start from: £80 per night (minimum of 2 nights). 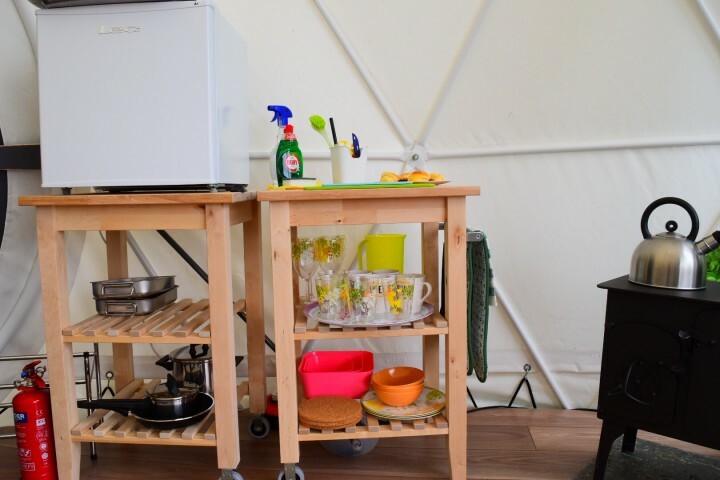 Standard – kitchen area with all cooking pans, plates, glasses and crockery. Electric lighting, power points and fridge. Lockable storage cupboard, bedside tables, adjustable dining table with four chairs, shoe rack and coat stand. 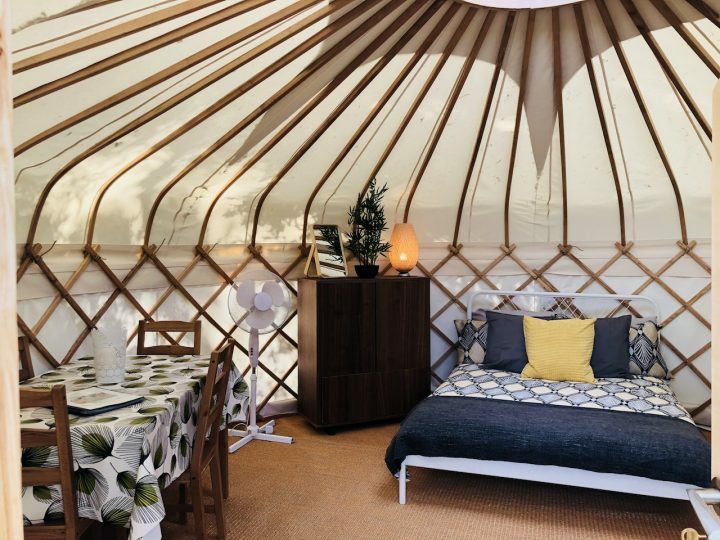 Outdoor BBQ and Picnic bench around spacious pitch. 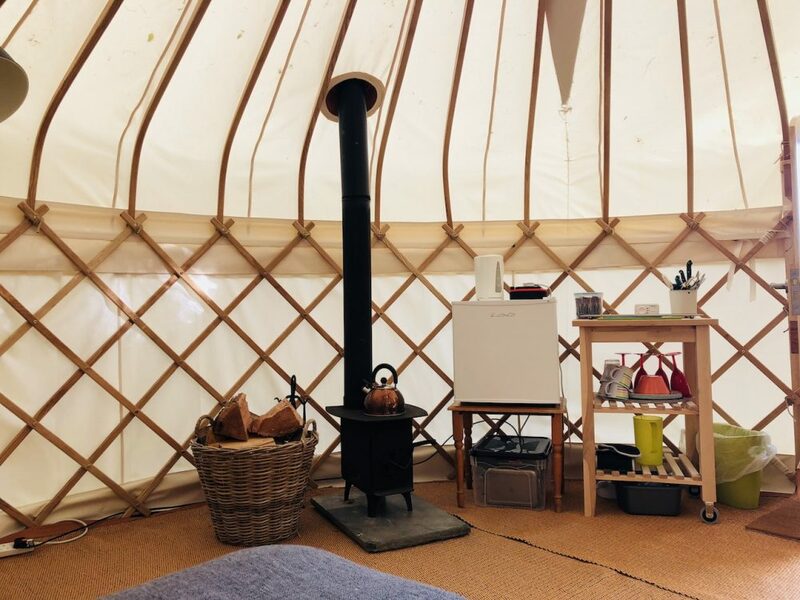 Welcome pack on arrival with Cornish cream tea and large basket of logs and kindling. Washing up liquid, bowl, dishcloth and antibac spray.